These conversions provide a complete, coordinated package of modifications including new barrels, sights, accurized custom 5-shot cylinders and action tuning. Please note that all of our 5-shot guns are available in stainless steel but, where factory-produced, adjustable-sight Bisley models are not available, we are prepared to assemble gun from stainless Blackhawks and Super Blackhawks using factory Bisley Vaquero parts. Add cat. No. B410 to do so. Please note: we do not offer line-bored cylinders for the various ‘Hunter’ models. The receivers are modified to accept oversize cylinders. The bolt notches of the 5-shot, unfluted cylinders fall between the chambers rather than over them where the chamber walls are thinnest. The longer cylinders accept cartridges loaded with longer, heavier bullets for superior hunting performance. Further, the cylinders feature free-wheeling ratchet and, where possible, recessed case heads to improve loading gate support. Please note: 5-shot cylinders for the intermediate-size frame, such as the New Vaquero and New Model .357 Flat Top, will be fluted and chamfered. Because receiver dimensions vary considerably from gun to gun, a cylinder made to a fixed set of specifications will rarely ever fit properly and have correct chamber-to-barrel alignment. Remachining the lock cavity, line-reaming the base pin holes, fitting an oversize base pin and installing a bolt bearing block and trigger pivot spacer provides tight, accurate cylinder lock-up. Precise lock-up, in turn, permits line-boring the cylinder. Using special fixtures and tooling, the cylinder pilot holes are located and bored through the receiver ring which affords the best possible chamber-to-barrel alignment. Cylinder bear surfaces are also re-cut to minimize cylinder endfloat. These procedures keep cylinder movement in any direction to an absolute minimum. Headspace is set at or near SAAMI minimum specs. Bowen Classic Arms Rough Country adjustable rear sights and locking base pin are standard features. New, extra-length firing pin are installed to ensure dependable ignition. Each conversion includes proper markings and factory-quality re-blue (or polishing for stainless guns). Please specify caliber and barrel length, where applicable, and see the relevant catalog numbers for barrel particulars and compatible modifications. A variety of options are also available, including a deluxe action-tune upgrade, coloring, etc. 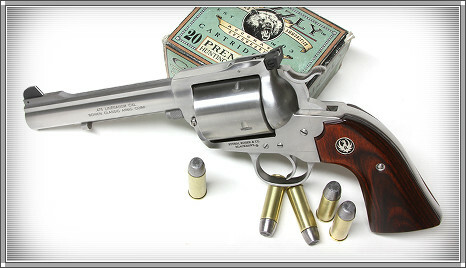 .44 Magnum: The standard magnum cartridge is a respectable performer in the long, 5-shot cylinders which will accommodate the heavy-bullet loads so effective on big game. This chambering is an excellent choice for shooters and hunters who wish to avoid extreme levels of recoil but still require adequate levels of performance on most big game. 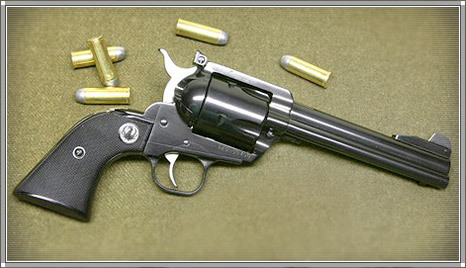 .45 Colt: Loaded to its full potential (only in 5-shot cylinders), the .45 Colt is the most practical and flexible of all the big-bore revolver cartridges and is capable of propelling 300 – 350 gr. bullets to 1400+ fps. .480 Ruger: A fine factory cartridge of intermediate power, well-suited to most big-game hunting but without the recoil of the .475 Linebaugh. .480 cartridges will function perfectly in .475 chambers. 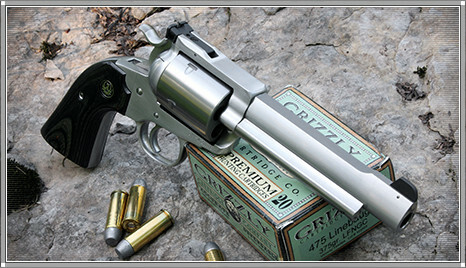 .475 Linebaugh: Now factory-loaded, the .475 Linebaugh is the most effective big-game revolver cartridge available. It is capable of shooting 400 – 425 gr. bullets to 1350+ fps. Recoil and muzzle blast are extremely severe and not for the inexperienced. The .50 Calibers: The .50 Special is a wonderfully accurate and pleasant round with minimal recoil and muzzle blast, shooting 300 – 350 gr. bullets to 800-900 fps. A newcomer, the .50 GI is similar but small enough to serve in the medium-frame guns with loads developing 700-800 fps with 250-300 gr. bullets. The rimless .50 Action Express offers intermediate levels of performance perfect for deer-size animals. Now a factory-loaded cartridge, the .500 Linebaugh is the most powerful .50 and is an effective big-game cartridge, especially at close range. It will heave 400 – 450 gr. bullets to 1200 – 1250 fps. No. RS07 ‘Long Hunter’ Performed on New Model Blackhawk, Super Blackhawk, Bisley and 357 Flat Top (Vaquero and New Vaquero versions with fixed sights are also available). Features a conventional round barrel with recoil-proof ejector housing installation and DX-type front sight base; house custom sight available on request (blue guns only). Available in .41 and .44 Magnums, .45 Colt, .480 Ruger, .50 GI, .50 Special and .50 Action Express. For a Long Hunter with an octagonal, please cite cat. nos. RS07 (Oct) or RS08(Oct); ovate barrels will use cat. nos. 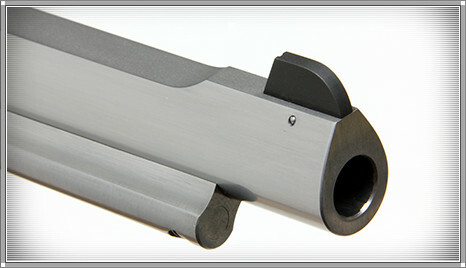 RS07(Ovt) or RS08 (Ovt); custom S&W-style barrels will use cat. nos. RS07(SW) or RS08(SW). Please see cat. nos. B325 or B326 in the options section for additional details. A light-weight Long Hunter with a 4 in. barrel is available; please inquire for details, specifications and price. In the old days, the term ‘long hunter’ was traditionally applied in the southern Appalachian Mountains to describe a hunter who was going to be away for a while. Much like the more familiar Australian term ’walkabout‘ which is used to describe such a wanderer’s adventure to this day. 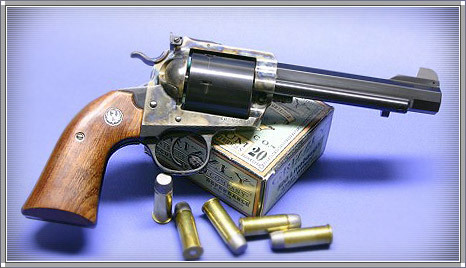 .475 LINEBAUGH BISLEY WITH A 5 1/2 INCH OVATE-FORM BARREL. CLOSE-UP OF THE OVATE-FORM BARREL. 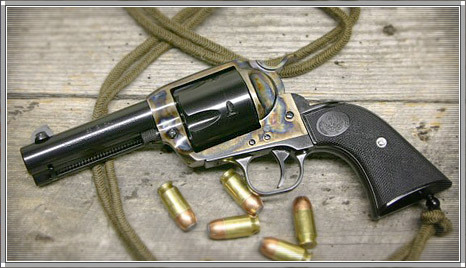 .475 LINEBAUGH BISLEY with Custom S&W-style barrel. RS07from $2,795.00 (.44 and .45 cals. ); all calibers available in blue or stainless. 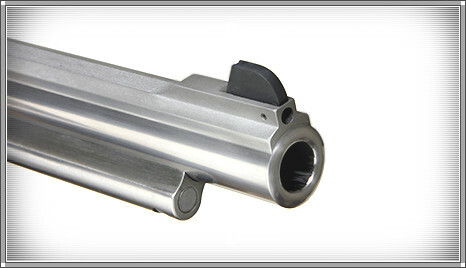 RS08 $2,895.00 (.480, .475 and .500 Linebaughs); all calibers available in blue or stainless. No. RS09 ‘Nimrod‘ Bowen Classic Arm‘s finest big-game hunting revolver. Simple and effective, the straight, untapered 5 ½ inch barrel with its integral band dampens severe recoil without jeopardizing graceful handling. Choice of serrated or white line Baughman ramp sight blades, pinned to the express front sight base. Chambered in .44 Magnum, .45 Colt and the .50 Action Express. 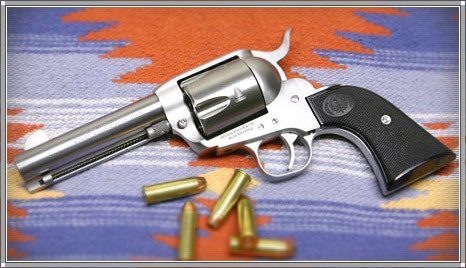 Other special order calibers such as .357 and .41 Magnums are available in the Nimrod pattern with standard diameter 6-shot extra-length cylinders. No. 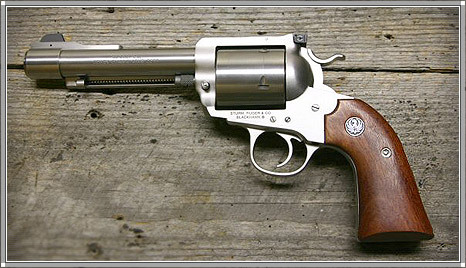 RS10 ‘Nimrod’ Same specifications as above except chambered for the .480 Ruger, .475 and .500 Linebaugh cartridges.